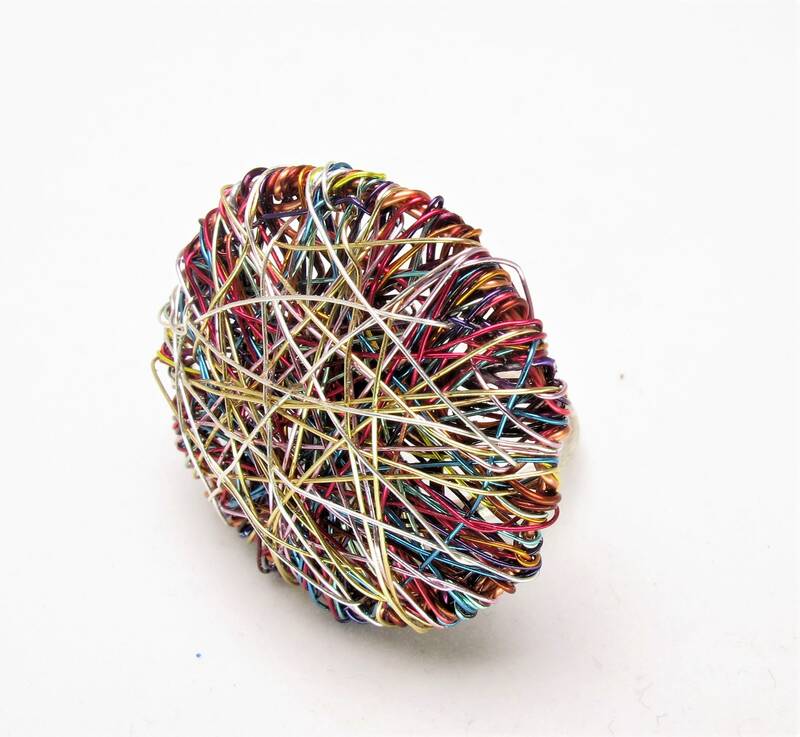 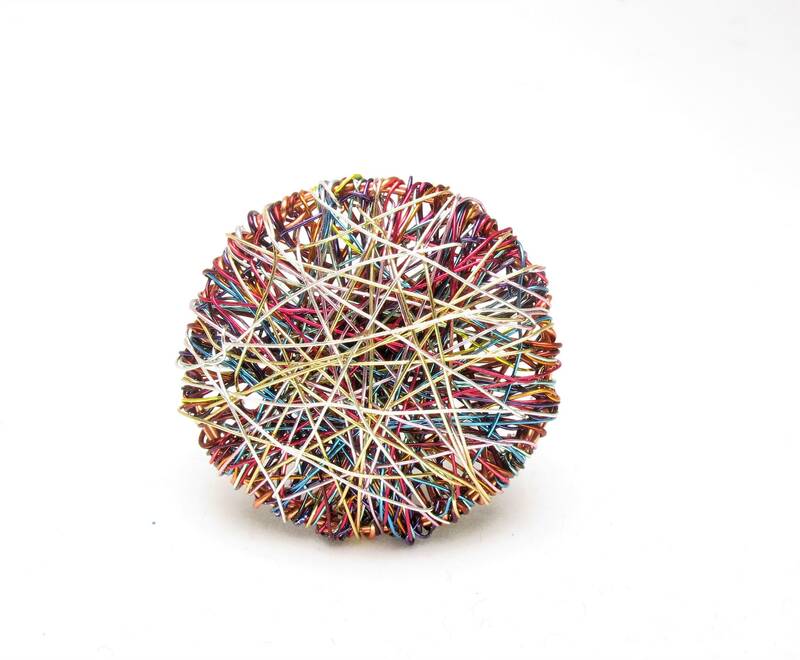 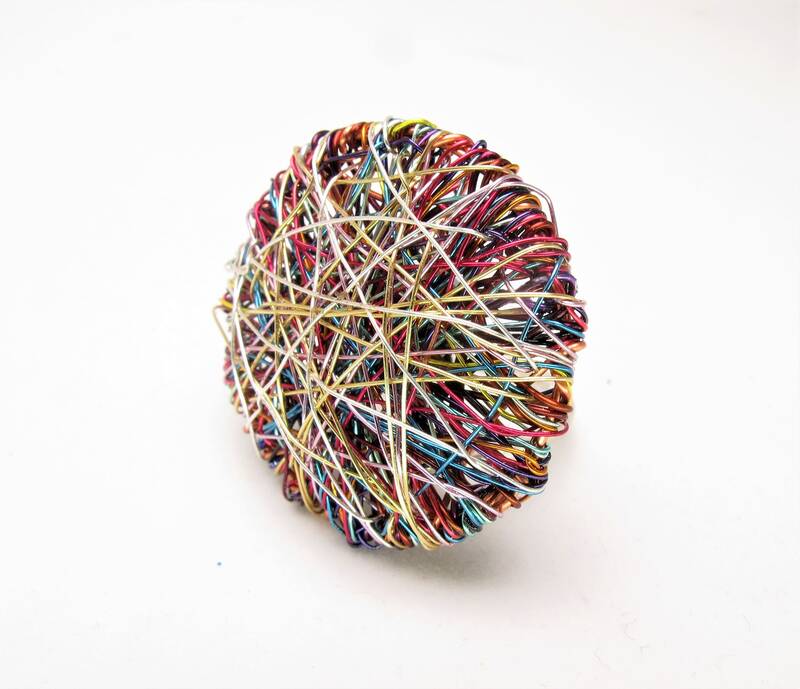 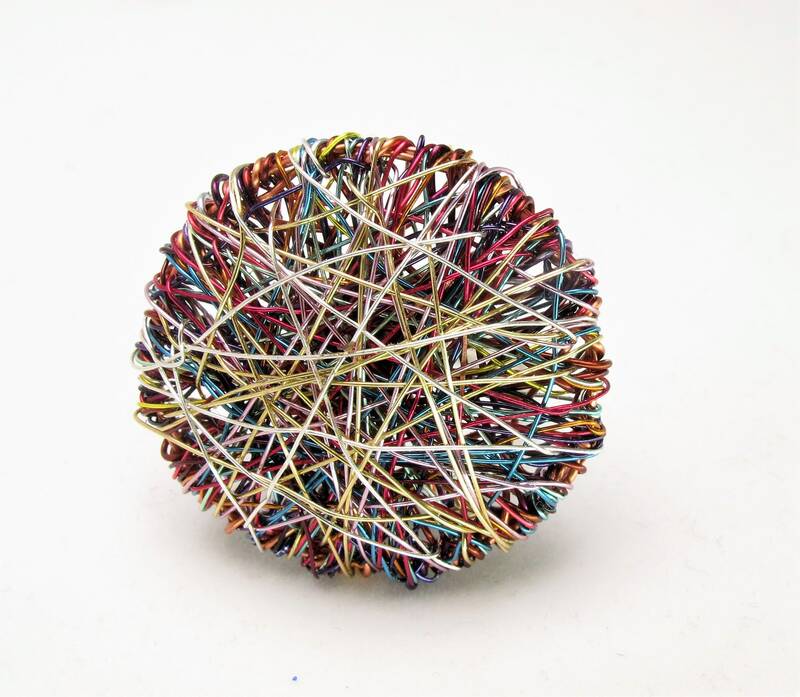 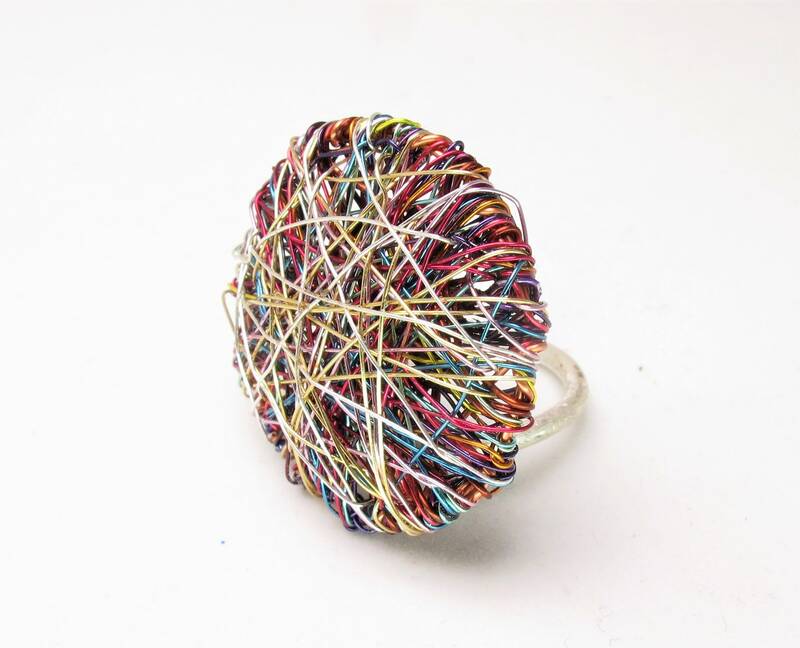 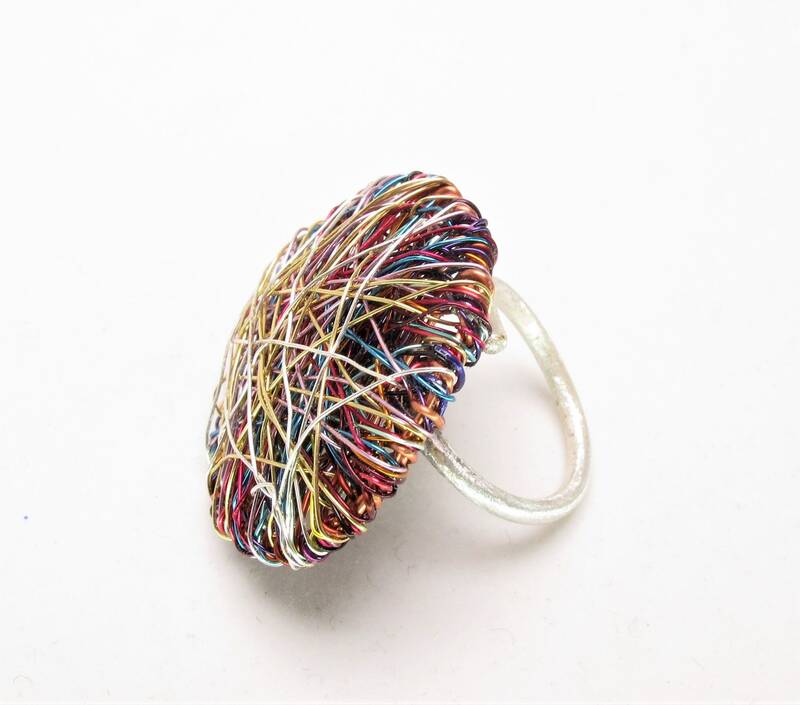 Handmade wire art ring, made ​​of colored copper wire and silver. 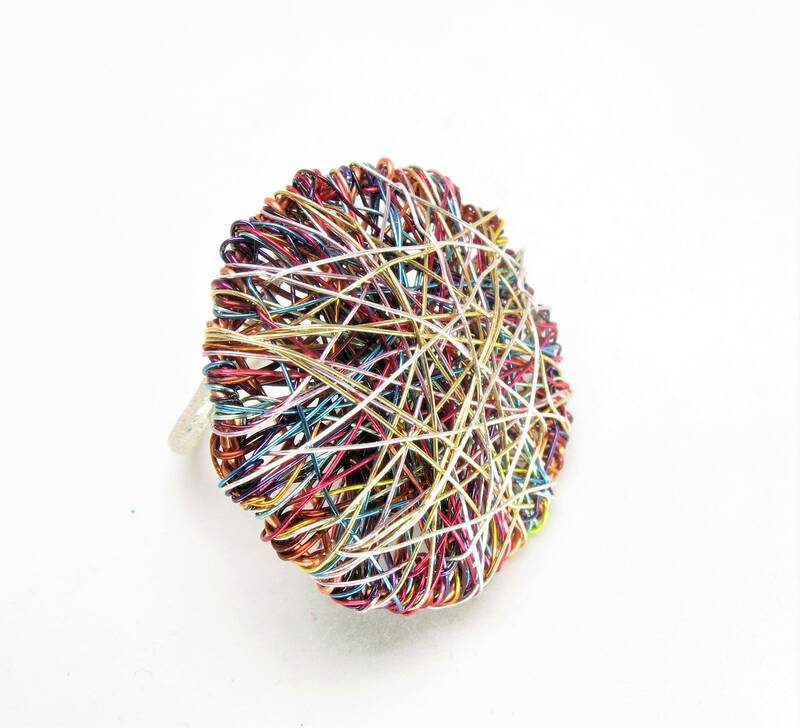 The overall size of the geometric ring is 3cm (1.18in). 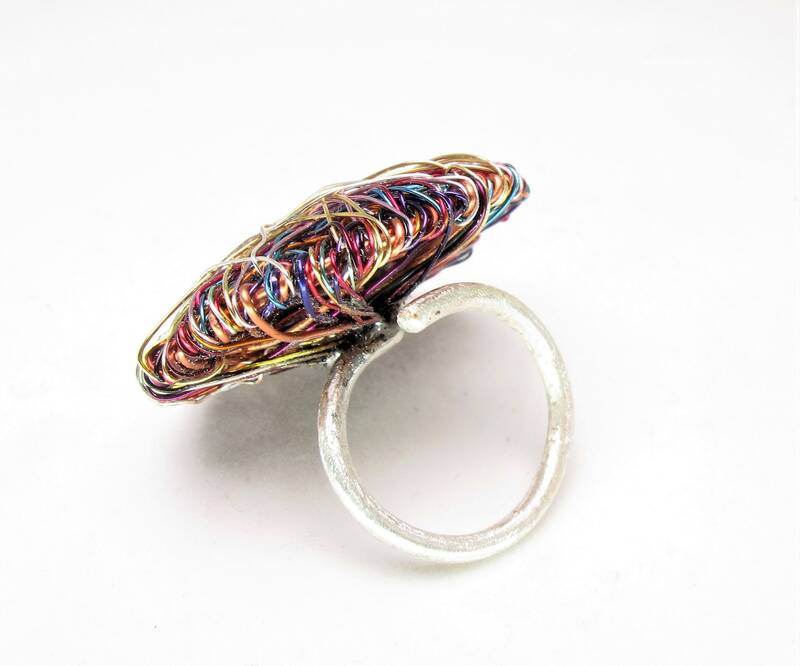 The base is solid silver adjustable to all fingers.